INERTANCE has performed the lateral vibration analysis (rotor dynamics analysis) with necessary design tools for turbo-machinery that includes centrifugal and axial compressors, centrifugal pumps, steam & gas turbines, motors, and gear applications. The rotor components including blades, impellers, etc have been modeled based on manufactured drawings, which can generate a mass-elastic lateral model of rotor assembly. 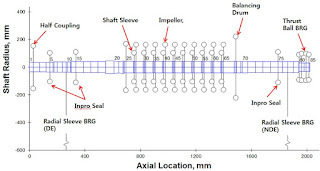 INERTANCE has a capability to perform below kinds of rotor dynamics analysis. In addition, the linearized coefficients are calculated for various bearing types with application of any seal type step by step. 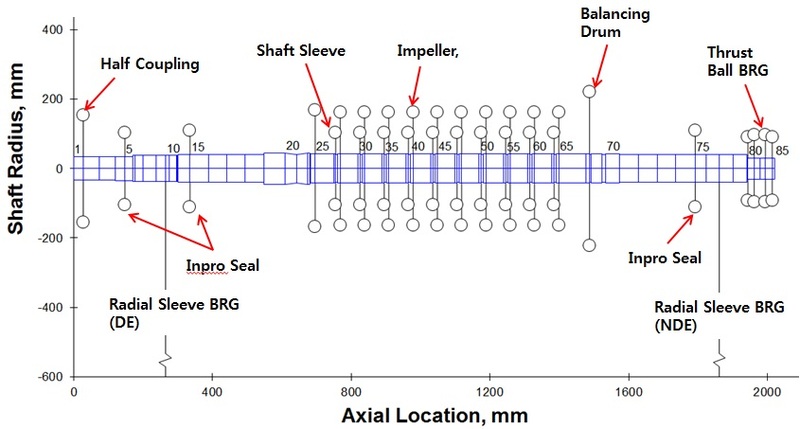 INERTANCE can provide various kinds of rotor dynamics analysis as requested in API standards as below.